It is hard to comment on these numbers. I can’t believe they are accurate. The idea that a rotator cuff injury in D.C. is worth three times as much money as the same case in Maryland… I don’t buy it. I’m not quite sure how they get their data but the difference in these jurisdictions is not all that pronounced. Arguably, Maryland is a better place for plaintiffs. Certainly, Baltimore City and Prince George’s County are far superior jurisdictions. 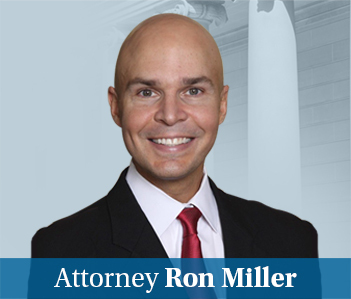 While we have never calculated our average or median verdict and settlement statistics in these cases, I can tell you it is a lot more that $45,000. The rotator cuff is a composite of four major muscles and tendon fibers that blend with the upper half of the capsule of the shoulder joint. In the experience of our lawyers, most rotator cuff injuries in car and truck accidents occur in side collision or “t-bone” accidents. Our law firm has handed scores of rotator cuff cases. Our clients struggle with these injuries. These painful and debilitating injuries make every day tasks impossible. It is amazing how often you lift your arm up over the course of living, as these victims quickly figure out. Of course, rotator cuff injury is a relative term with varying degrees of severity, from strains of the rotator cuff that result in minor limitation in the motion of the shoulder to severe ruptures of multiple muscles or tendons. 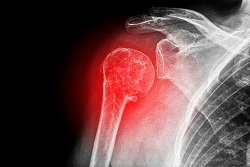 Millions of people are diagnosed with a torn rotator cuff injuries every year. But if you are getting a tear — often a full-thickness — from a motor vehicle accident, you are unlikely to see an injury that easily resolves. Many of these clients require an open repair or a mini-open repair that is pretty invasive by 2014 standards. Interestingly, older data for rotator cuff injury cases that went to trial showed that the median final demand was $85,000 and the median final offer was $25,000. This is a pretty wide range, obviously, perhaps underscoring the difference of opinions as to the severity of the rotator cuff injury. The study also found that the median award was $50,000, which leads one to believe that both the Plaintiff’s and Defendant’s lawyers were often way off the mark on the real settlement value of the case. You can get more information on the value of rotator cuff injuries by looking both at statistics and sample jury verdicts and out-of-court settlements here.